We live in the digital age, where information and is more accessible. As much as this information can be analysed by businesses, the real question is, is there room to alter the sales landscape, asks DR YUDHVIR SEETHARAM, Head of Analytics at FNB. South Africa has roughly 52% of the population that use the internet, with 70% mobile penetration. With more than half the population being enabled to use either the internet or a cell phone, businesses need to ask themselves whether digital retail strategies are the next evolution of selling. 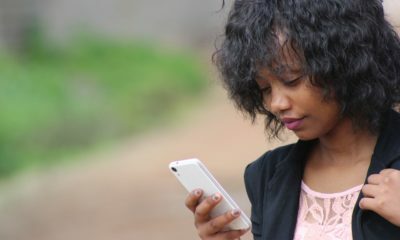 A simple, yet startling fact by GSMA is that in 2015, mobile technologies and services were already generating 6.7% of Africa’s GDP, amounting to $150bn of economic value and supporting 3.8m jobs. As more consumer groups become digitally savvy, businesses need to shift both their approach and “shops” from being traditional to being digital. In the latest e-commerce report, South Africans frequently return to their online store, purchasing media, books or travel products – they are primarily based in metropolitan areas, visit social media sites (or check emails) while shopping and are quite at ease with technology. These type of insights and analytics in the digital space are growing significantly to assist businesses target consumers via social media – an example of the extent to which targeting has reached are banner ads on Google or Facebook – these are usually very targeted based on individual user patterns. Around 37% of businesses are currently using social media or viral marketing as their primary marketing driver, however this number needs to grow over the next few years. With 72% of reported online shoppers using price comparison sites, businesses cannot afford to not price their digital store products competitively. Around 60% of customers prefer to pay via credit card services rather than on delivery, implying that customers want convenience when completing their shopping. By also shopping online, you allow customers to view reviews of your product, which can help boost your sales through indirect marketing. What businesses must understand about using online platforms is that there is an initial decision in approach that each business must take – the business can either use digital platforms to promote their brand or initiate a virtual shop. These two approaches are inherently different and impact on the strategies used to go to market. Due to the South African market, brand promotion tends to be the more rewarding approach. Brand promotion is rewarding simply because many South Africans are on social media sites throughout the day. By increasing brand awareness, you are able to drive customers to your store in a more cost effective manner compared to traditional advertising. When promotions are then paired with offering the convenience of shopping online, enabling a high level of customisation or personalisation of your products and even delivery of your products, you enhance the customer’s experience leading to loyalty and a much higher lifetime value. What this then establishes as a first point of call is that businesses need to assess the feasibility of branding and/or selling in the digital space – many businesses tend to focus on the creation of a virtual store, without promoting the business itself. The branding argument is much simpler to make – it is more cost effective and can reach a wider and more diversified audience. To sell online requires the business to evaluate whether their products are suitable for online selling – products that rely heavily on tactile sensation (touch and feel) are not ideal if the customer is viewing them on a screen. Once feasibility is established, you can then proceed to create an online catalogue along with payment mechanisms – elements of which are available from banks. The advocacy here is not to imply that traditional stores are not suitable, but rather that businesses need to understand whether their products can be seen as more attractive to their customer, if their customers are digitally savvy by taking the product to the customer in a manner that is attractive to them.